This is the eBook of the printed book and may not include any media, website access codes, or print supplements that may come packaged with the bound book. 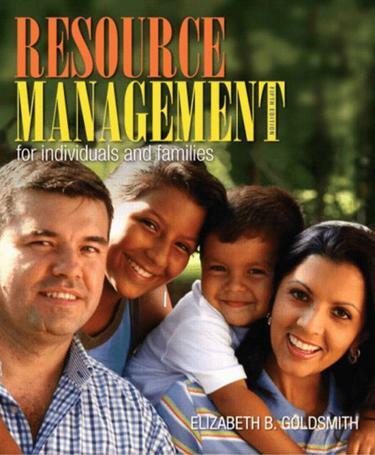 Resource Management for Individuals and Families contains 14 well-organized chapters divided into four parts to introduce students to the best of management thinking and practice. The fifith edition offers a new, interactive approach to teaching resource management through special features that are specifically designed to reflect the themes of choice and decision making, supporting students’ interest and learning. To engage the reader, many chapters begin with a case or story from the news about families.This edition continues to pay close attention to meeting the standards and criteria for the Certified Family Life Educator (CFLE) designation of the National Council on Family Relations (NCFR).